“Make sure you don’t miss this one,” said a Chinese friend who has spent decades studying art both in the East and the West. 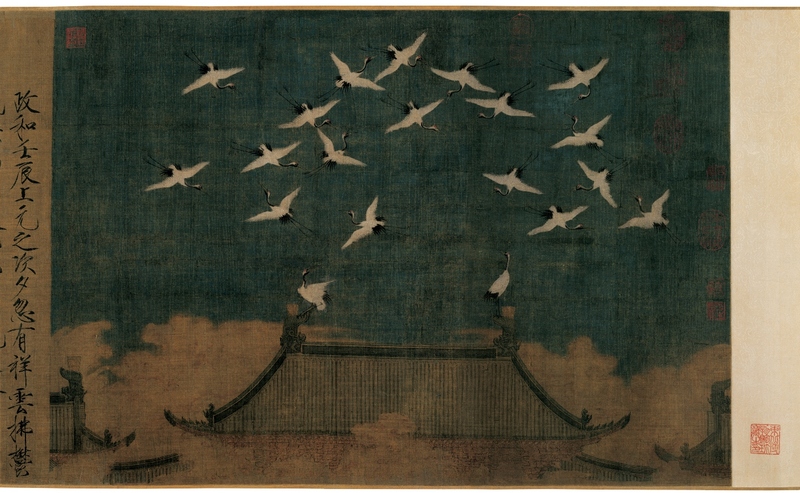 She was talking about the V&A’s Masterpieces of Chinese Painting 700 – 1900 (until 19 Jan 2014). “It’s like seeing room after roomful of Mona Lisas.” What she didn’t explain was how different, and at times, difficult, it is to decode what you are seeing. Nothing prepares the Western eye for the unfolding of the scroll, reading images that here stretch up to an incredible 14 metres in length, where a quick glance reveals almost nothing. This incredible treasure-trove demands careful contemplation, but is worth visiting simply to catch a glimpse of another world view, even if the nuances of the changing dynasties are lost on you. 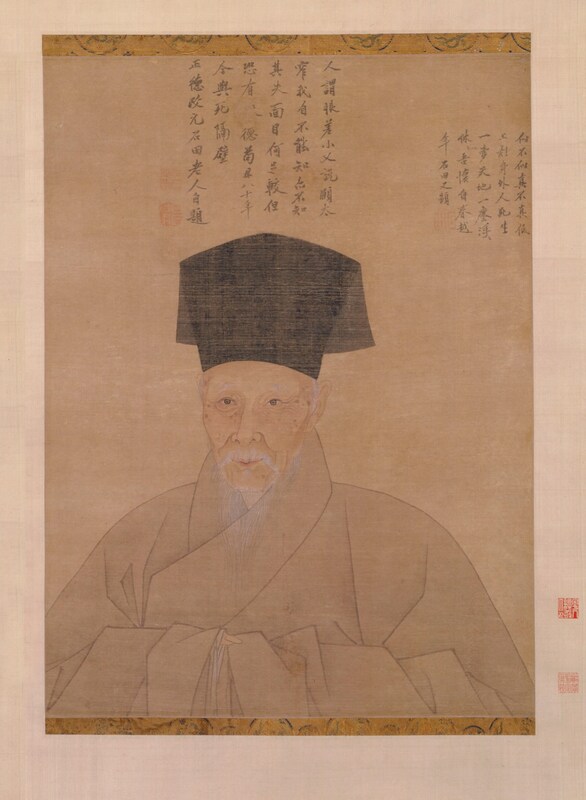 In the final room, where the multiple vanishing points of traditional Chinese painting have been replaced with a linear European perspective, the work seems more accessible, probably because there are magnificent vertical scrolls that make up images of fantastic landscapes in the vivid greens and blues of the Tang Dynasty, or great landscapes in the tradition of the Old Masters, but on a scale that impresses across the room. For most of the rest, you will need to peer into the glass cases and observe the mastery of the brush strokes, the peculiarly Chinese way of drawing mountains, the seals that mark the work. Beginning with the amazing find of Buddhist work in the caves of Dunhuang, the show covers the 1200 years that follow with loans from across China, as well as many from the Musée Guimet in Paris and the Museum of Fine Arts in Boston. 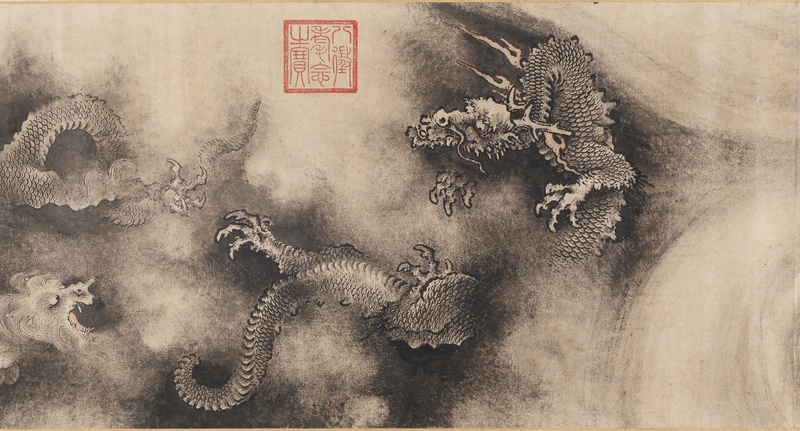 Among the many highlights are two of the longest scrolls – the twisting Nine Dragons that dates from 1244, and the painstaking depiction of life in Prosperous Suzkou (1759) that took a team of court painters three years to complete.